Windows 8.1 users with a yen for 3D printing and a few thousand bucks for a printer can get a free design application from Microsoft – as Redmond seeks to show it's as modern as the rest of them. "I get excited about 3D printing. Really excited. Like Tom Cruise on Oprah’s couch excited. 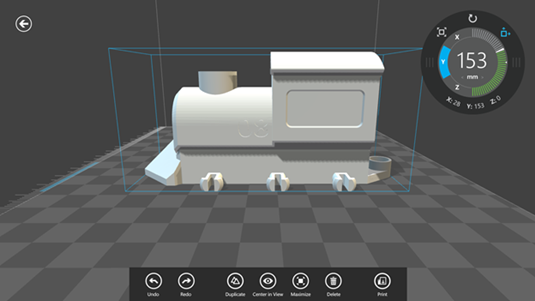 So, I couldn’t be more thrilled that we are releasing a 3D printing app for Windows 8.1," wrote Microsoft consumer PR Kristina Libby. "We’re entering an exciting new era in which everyone will be able to create and print three dimensional objects. Just imagine being able to print a spare part for a household appliance, or creating your own jewelry line of custom 3D-printed earrings." The 3D Builder app isn’t particularly complex; coming with some basic designs for the budding manufacturer to customize using a fairly limited set of tools. It will also allow 3D designs to be imported via SkyDrive.